Nomura: All costume designs have already been finished and I feel confident about them. It is based on the costume Riku wore during the KH X 3rd anniversary illustration. [FONT='inherit']"A while ago at Artnia (Square Enix Official Shop/Cafe), I found the original drawing of Meow Wow I drew at the time but it was clearly sketchyâ€¦ I am surprised I made it so cute from there." Nomura being cute, as always. LOL. [FONT=&]"A while ago at Artnia (Square Enix Official Shop/Cafe), I found the original drawing of Meow Wow I drew at the time but it was clearly sketchyâ€¦ I am surprised I made it so cute from there." Bless Nomura for creating Meow Wow. I love Meow Wow so much. I hope not! I like many of the existing dream eaters a lot so I won't have a hard time choosing which to use anyway, but it would be nice to try something new too. Not a fan of any of these already revealed new ones so yeah, I hope there will be more. But if not, I'll just go with my old favorites which is fine. Not a fan of any of these already revealed new ones so yeah, I hope there will be more. How can you not love Catnuki?! 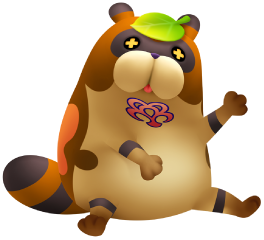 The only Dream Eater I like is Anti Black Coat, and the fact he's the least Dream Eater-looking of them all speaks volumes on how much I like Dream Eaters. Tho I guess Keebaa Tiger and the Skull T-Rex are fine. Remember fam, it's Catanuki! There's an extra 'a'. After they initially said nothing new was going to be added, I'm content with only three new Dream Eaters. There's plenty to choose from already. chaser what do you about riku and kairi new outfit designs and i wonder what mickey look like? They can wear whatever they hell they want, I don't really care about character outfits. I never understood the obsession with changing up clothes every game or every couple of games. As for Mickey, the new outfit is Noctis' casual clothes, including hat and winter jacket. I actually love the idea. I never understood the obsession with changing up clothes every game or every couple of games. It does add some measure of "realism" to human characters though to occasionally change clothes, so maybe that's at least one reason people look forward to such minor visual changes. What obsession? The main character has changes clothes 3 times in 15 years. Each game has people wondering if Sora will get new clothes. There's people begging for Donald and Goofy to get new clothes. There's people who want to see Kairi in her new clothes. It's something that people do obsess over. I understand new clothes when characters age, like Sora from KH1 to KH2 but the whole idea of needing the characters to have new clothes and seeing it, I don't get. It isn't just KH that I feel this way. I question why Syd from Gravity Rush 2 needed new clothes as well. Can't say why I love new outfits so much. I'm just generally happy when I see characters I like in new clothes, or even the process of coming up with the style. These may also be rather strong reasons. When something has been done once that many people like, there's expectation for it to happen again. Like i.e. no one expects Mario to change his outfit every game, mainly because the good old plumber hasn't had a big redesign/clothing change ever. Good question, I have no idea as to why people like this either. I am totally one of those fans, however; I really like when characters change outfits as well. It's probably just some type of superficial appreciation to the art medium at hand, I don't think there's any real reason they have to have new clothes in each main series title, though. They just look cool I guess?